Offering you a complete choice of products which include siemens plc. 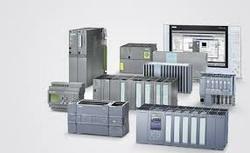 We are offering an array of Siemens PLC to cater to our users’ demands . Siemens PLC are one of the perfect SIMATIC controllers for every application. Easy to install and operate, these are designed using advanced technology at our own infrastructure. Siemens PLC offers the perfect programmable logic controller according to the user requirements. These products are available in market at best valued prices and customers can use them to cater to their diversified needs.